During our last night in Interlaken I had been very unwell. More unwell that I had been in a very long time. I was dehydrated, and had issues keeping any food or drink in me. In the morning we set off to find a doctor. He kept apologising for his English, which was perfectly acceptable. Partway through the examination he jumped on the phone, switched to German and had a conversation with a gastro specialist at the hospital. He apologised again, this time for not being a gastro specialist and only being a neurosurgeon. I assured him I was quite comfortable in his competency to treat me either way. He gave me some probiotics and instructed me eat bananas, bread, and chocolate. Mum wasn’t sure about the chocolate, but I reminded her the doctor meant proper chocolate, proper dark Swiss chocolate. The drive to Geneva from Interlaken is pretty easy. 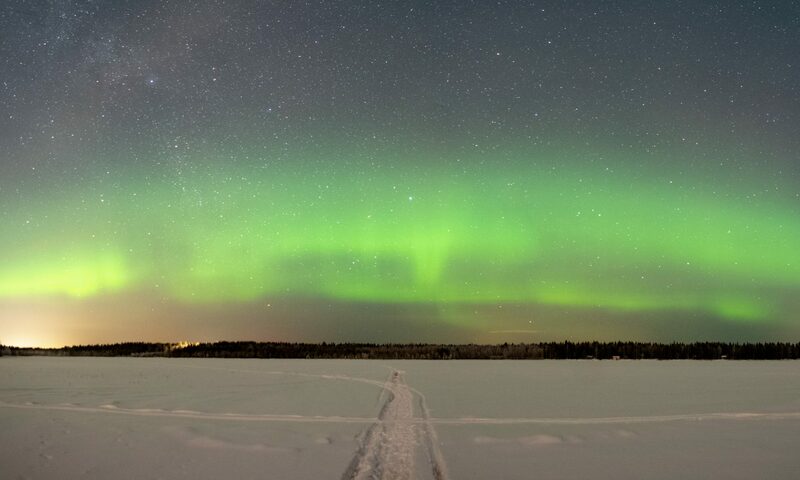 There are main roads the whole way and it doesn’t take that long. The most confusing part of the drive is when the road signs switch from German to English. Ausfahrt becomes Sortie. The Swiss really take this whole multilingual thing all the way. I mean, even if everyone talks all the languages, surely you’d think about picking just one for the road signs in a country smaller than some farms in Australia. One of the EU goals is to get everyone in Europe to speak 3 languages, I think most of the Swiss are ahead of the game here, even if they aren’t in the EU. Once we were in Geneva it was a little harder to get to the hotel. We had to do a couple of laps of the block through some side streets and one way roads before we could make the appropriate turns into the carpark. Our hotel rooms came with complimentary public transport tickets. We took the tram into town and then changed to a bus to go to the UN. It wasn’t overly clear when we got to the UN where we had to go in, but we followed the signs for visitors and lined up to get our passes. You needed to bring a passport to get in, but that was about it. All of our photos were taken, but only one of us got a pass with their photo on it. The rest of us just got a pass saying visitor. We waited next to the gift shop for our tour in English. A couple of other tours departed in other languages. Eventually the English-speaking tour guide arrived back from his last tour and got us all together in a group. Like everyone else he spoke somewhere between 3 and 6 languages and said hello to a few people in their native language before we set off. His presentation was well rehearsed, but the jokes were good and new to us, even if he had told them a number of times today already. The UN buildings in Geneva are quite old, they were a built for the League of Nations between 1929 and 1938. The tour took us through a number of large meeting halls, one of them had been done up more recently. 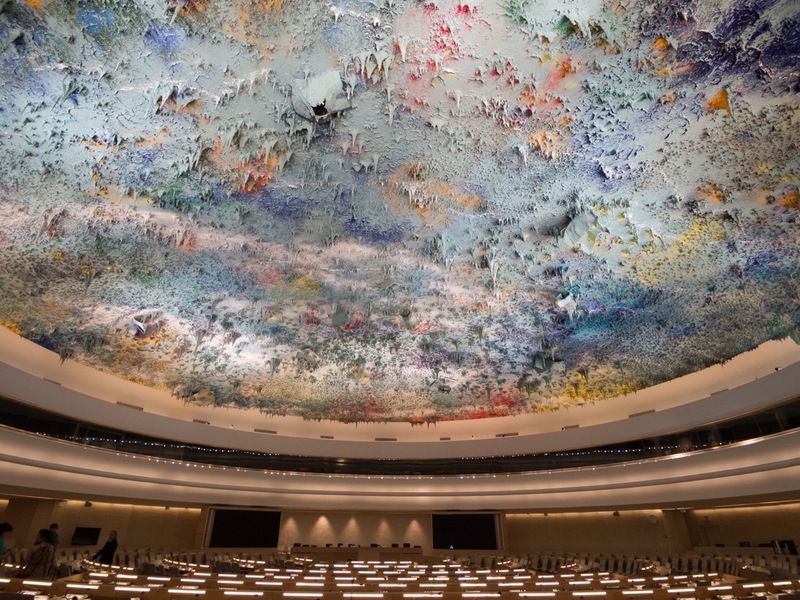 The roof in the hall used for the UN Human Rights Council was designed by a Spanish artist Miquel Barcelo. The roof is different from every perspective and the artists wanted to convey that issues such as human rights need to be looked at from every angle. He took us through some of the older rooms as well with impressive art and murals. A common theme was the futility of war, and speaking should always be the preferred solution. Through the windows he pointed out the UNHCR (United Nations High Commission for Refugees). It was setup 1950 and was originally funded for about 3 years after the second World War. They thought they’d be able to solve most of the issues in that time, and if needed they’d extended its mandated. After 5 years they extended it 5 years, after 5 more they extended it again, after 5 more they extended it again. This was and is not an issue that could ever just be solved. Something that is very evident at the moment in Europe, and will undoubtedly be brought up again in the 2016 elections in Australia . After the tour we walked back through the grounds and out towards the tram for the return trip. Who would take a bus when you can take a tram? I still wasn’t feeling the best so I returned to the hotel to have a rest, and catch some more of the Tour de France with commentary in a language I didn’t understand. Broken Chair. It symbolises opposition to landmines and cluster bombs.